Receive the acclaim and professional recognition you deserve for your advertising and promotional items. Be a winner in this prestigious competition! It’s your chance to earn an award of excellence and well-deserved accolades from marketing professionals working outside of the industry. There is no entry fee and the deadline for this year is August 2, 2019. Entries forms and other information will be posted in late spring 2019. Please check back for more details. Congratulations to last year’s winners! 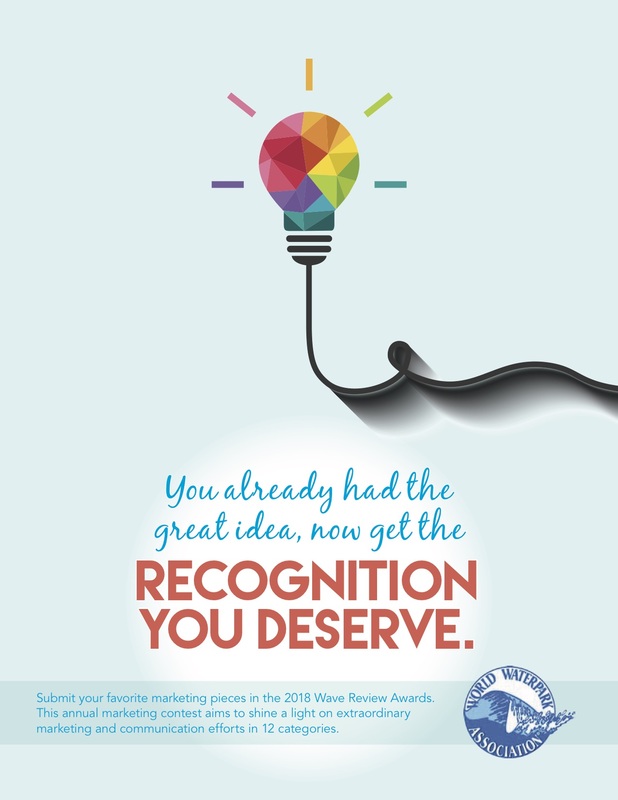 Click here to review the winners’ list from last year’s Wave Review Competition. Full-color waterpark tv and radio commercials, contributed by WWA members, are available for current WWA members to download at no charge. Don’t miss out on this special opportunity to review successful marketing techniques used in the waterpark industry. Click here to be taken to the download page.